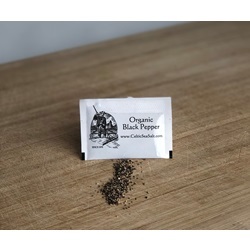 .5 grams of organic, kosher ground black pepper in each packet. 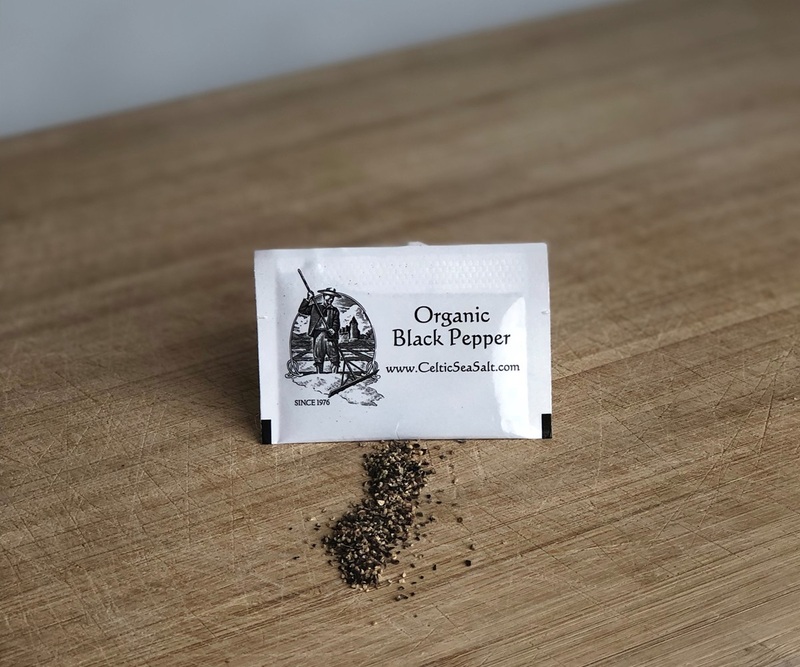 To ensure your salt quality is of the highest standards, serve fine ground organic pepper or bring it with you everywhere you go! Convenient, single-serve packets are ideal for condiment stations, carry out, room service or just about anywhere pepper is needed! Case of 50 fine ground pepper to go packets. 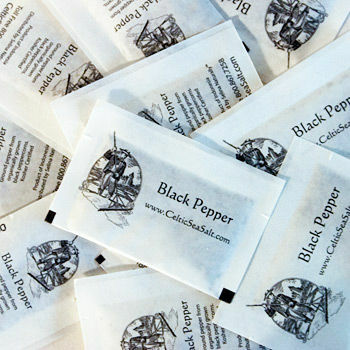 We also offer Fine ground sea salt and pepper packets in quantities of 1,000. Please call for details. Peppercorns certified organic by CCOF.